In January of 2008, Kyle and I flew to Kansas City to attend a seminar to be trained on Biblical Support Raising in order to raise our support and go on staff with NEXT. 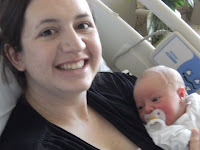 I was 5 months pregnant and had found out only a few weeks earlier that it was a girl, our sweet Laura Kate. In February, my one and only Valentine and I celebrated our 3rd Valentines Day (since engaged). We officially launched our support raising mission for NEXT. I was growing and growing (and so was Laura Kate). In March, Kyle left for his very first trip with NEXT to Costa Rica, and I flew by myself (and LK!) to Houston for my baby brother's wedding. I was seven months pregnant, so let's just saying I was the "glowing" bridesmaid who's belly entered the room 5 minutes before my face did. What a wonderful experience to be able to take part in. In April, the stress of support raising was definitely setting in. In the meantime I was busy at work preparing and organizing the Children's Ministry for my maternity leave and after, our move to the Metroplex. It was a very emotional thing for me, to prepare to "give up" a ministry I had given my heart and soul to. Little did I know the amazing things to come. On May 12th, our sweet baby girl made her grand appearance at 1:46 p.m. Next to being Kyle's wife, I have never known a greater joy and "fullness of heart", for lack of a better phrase, than being a mom. I tear up thinking about the difference her presence in my life make to me. She fulfills a lifelong dream for me. and then came June....the Month to end all Crazy Months before it.... Still very much in the heart of support raising, and having a new born baby, it was safe to say we were sleep deprived. To give her credit, LK did sleep through the night for the first time at 6 weeks - the end of June. We took LK on her first road trip to Dallas to find a house. We were very blessed to find a beautiful home. The same week began the Celebration that was my sister's wedding. We saw the Ranger's and the Braves battle it out before returning to Lubbock for the Wedding. On June 21st, my twin sister married the man of her dreams at Turning Point Community Church. July marked a "turning point" in our lives. On the 7th, we moved away from home for the first time. I can't tell you the vulnerable feeling I had when my mom left (dad having left a few days earlier) and I was alone in my house with my sweet husband and 8 week old baby. Regardless, we settled in very quickly into our house, our jobs and our new church, Providence. The rest of July is a blur to me now because it moved so quickly. If July was a blur, August was even more so. We were settling into a routine, and LOVING this new place that God had placed us. At the beginning of September, Laura Kate slept through the night for 12 hours, and has been ever since. October was a great month. Kyle traveled to Venezuela for his first LDC (Leadership Development Conference) trip . For Halloween, Laura Kate was the cutest pixie fairy you have ever seen. At the beginning of November, we celebrated my dad's 50th birthday by sending him to Texas Motor Speedway for a Nascar race. The weekend also included a trip to Canton, a really special birthday cake, and a LOT of laughter. Kyle traveled to Romania for another LDC, and LK and I flew to Lubbock. Thanksgiving was a busy day shared with our families. December was a busy month preparing for LK's first Christmas and the first Christmas I would host. It was also a busy month for us at NEXT. Kyle and I attended a 2 day, intensive leadership conference followed by a full day "boot camp" refresher at the NEXT offices. We attended our first NEXT Christmas party and we celebrated the Day of the Great Feast with our friends in Ft. Worth. I also ran my first 5K race and fell in love with running. Christmas was a success and Laura Kate raked it in. We again are so blessed by family and friends who have blessed us with everything we need for our sweet girl. Needless to say, 2008 was a momentous year. Thank you to everyone who played a part in our lives over the last year. I say with confidence, whether you are a family member, ministry partner, colleague, or dear friend, that we could not have survived with the grace we have without you. THANK YOU. Thank you for the wonderful update! It is so neat to be able to see what your year has been like! You guys are just the cutest! I love reading about your family. It was so good to see you on New Years and I hope this year is as grand for you as the last!